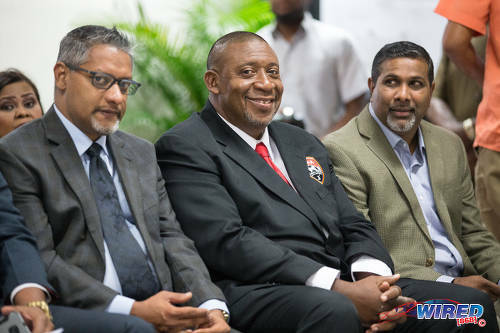 The framers of the Trinidad and Tobago Football Association’s (TTFA) constitution—a policy document approved by the world governing body, FIFA—felt the local sporting body should be served by a number of standing committees, which were meant to not only ensure oversight and accountability but also to afford the TTFA’s board of directors the benefit of a range of ideas and expertise. 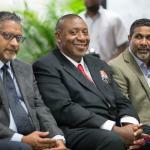 The current TTFA constitution was adopted and ratified on 12 July 2015 by an Independent Reform Commission (IRC) that included: former West Indies Players’ Association (WIPA) president and Test cricketer Dinanath Ramnarine, attorney Elton Prescott SC, Trinidad and Tobago Olympic Committee (TTOC) president Brian Lewis, archivist Patrick Raymond, former 2006 World Cup player Shaka Hislop, then Media Association of Trinidad and Tobago (MATT) executive member Dr Sheila Rampersad, Trinidad and Tobago Football Referees Association (TTFRA) vice-president Osmond Downer and late KPMG managing partner Raoul John. 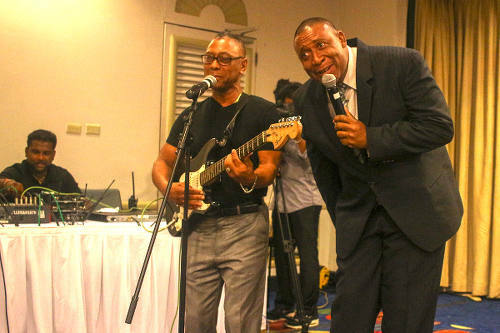 Photo: TTFA president David John-Williams (left) makes a point while Concacaf official Howard McIntosh looks on at the Hyatt hotel on 28 January 2019. In its wisdom, the IRC divided the duties of the TTFA into a minimum of 16 standing committees while also creating the framework for additional ad hoc committees, which were to be created when necessary. 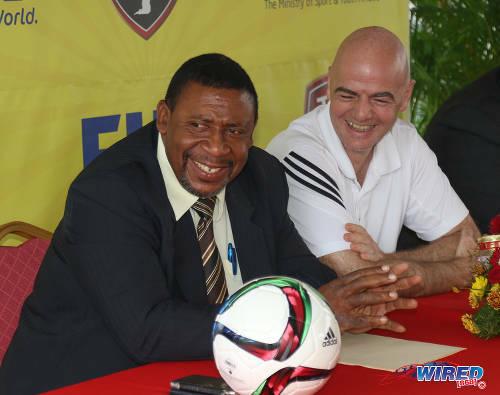 At present, the TTFA has just one functioning committee: the referees committee. 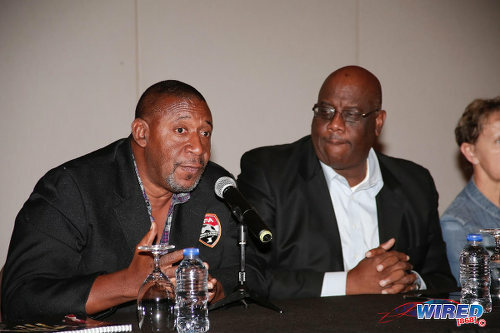 Contrary to misleading reports from sections of the local media and often the football body itself, the TTFA has not had a functioning technical committee in well over a year. 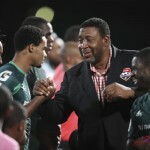 In January 2017, technical committee chairman Dexter Skeene and more than half of his colleagues quit their post, after the TTFA board ignored their advice and appointed Dennis Lawrence as Soca Warriors head coach—although the committee named Lawrence as its third choice behind Stuart Charles-Fevrier and Terry Fenwick. The current ‘technical committee’ consists of one person, Richard Quan-Chan, although the constitution stipulates, under article 43.3, that ‘each standing committee shall consist of a chairman, a deputy chairman and maximum of five other members’. It is hardly the only constitutional violation. The TTFA’s ‘compliance process’, for instance, was overseen by employees Sharon O’Brien—who was also a board member at the time—and Michelle Lynch. However article 45.3 states: ‘the chairman and deputy chairman of the Audit and Compliance Committee shall be independent from TTFA, its bodies and Members’. This stipulation of independence, as spelt out by the constitution, was intended to: ‘ensure the completeness and reliability of the financial accounting and review the financial statements, the consolidated financial statement and the independent external auditors’ reports’. At the TTFA AGM on Saturday 23 December 2017, John-Williams proposed members for the body’s judicial committees, which were ratified. Disciplinary: Newton George (chair), Auldrin Neptune (vice-chair), Sushilla Jadoonanan, John Jeffrey and Norris Ferguson (members). 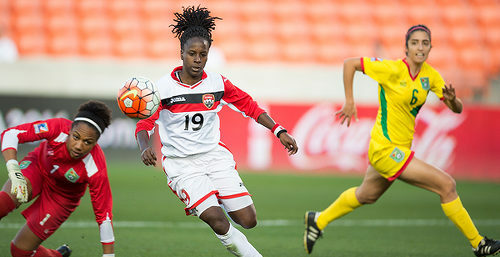 Fifteen months later, not one of the three bodies has held a single meeting—which might suit Trinidad and Tobago Women’s National Senior Team star Kennya ‘Yaya’ Cordner, who refused to play in a World Cup qualifier last October but cannot be censored by non-functional disciplinary committee. Photo: Trinidad and Tobago attacker Kennya “Yaya” Cordner (centre) prepares to fire home while Guyana goalkeeper Chante Sandiford (left) looks on during CONCACAF 2016 Olympic qualifying action in Houston. At least two committee members told Wired868 that requests for updates on their roles were met only with empty promises of feedback. According to article 59.3, the TTFA general secretary is responsible for ‘attending the […] meetings of the Board of Directors, Emergency Committee and the standing and ad-hoc committees; organising the General Meeting and meetings of the Board of Directors and other bodies; [and] compiling the minutes for the meetings of the General Meeting, Board of Directors, Emergency Committee and standing and ad-hoc committees’. 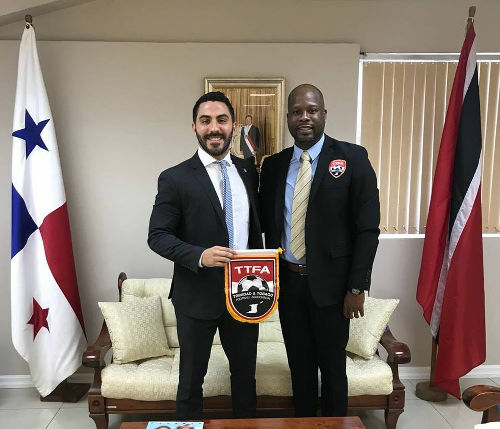 On 19 October 2018, TTFA general secretary Justin Latapy-George could not say what had gone wrong with the various standing committees. 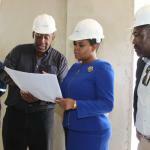 “The standing committees were all ratified at the AGM of 23 December,” said Latapy-George. “However, they have not met in any form. They are active but not functional. Four months later, Latapy-George did not seem any better informed. But what exactly is local football missing as a result of the non-functional committees? Finance Committee: The Finance Committee shall monitor the financial management and advise the Board of Directors on financial matters and asset management. It shall analyse the budget of TTFA and the financial statements prepared by the General Secretary and submit them to the Board of Directors for approval. Audit and Compliance Committee: The Audit and Compliance Committee shall ensure the completeness and reliability of the financial accounting and review the financial statements, the consolidated financial statement and the independent external auditors’ reports. The Audit and Compliance Committee shall advise and assist the Board of Directors in monitoring the Association’s financial and compliance matters, and issue and monitor compliance with the relevant regulations of the Association. 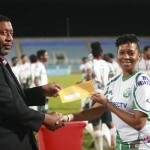 Organising Committee for TTFA Competitions: The Organising Committee for TTFA Competitions shall propose the competitions of TTFA in compliance with the provisions of this constitution and the regulations applicable to TTFA’s competitions. Technical and Development Committee: The Technical and Development Committee shall primarily analyse the basic aspects of football training and technical development. Legal Committee: The Legal Committee shall analyse basic legal issues relating to football and the evolution of the Constitution, rules and regulations of TTFA and its Members. 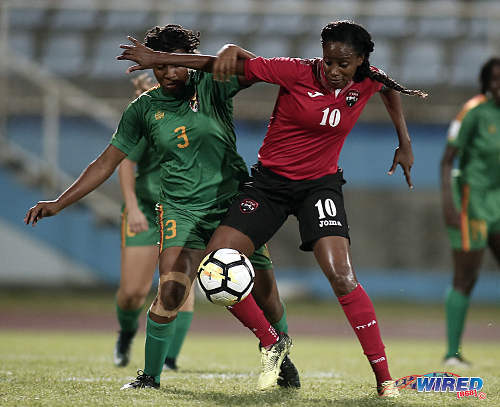 Committee for Women’s Football: The Committee for Women’s Football shall organise the women’s football competitions of TTFA and deal with all matters relating to women’s football. Youth Football and Development Committee: The Youth Football and Development Committee shall organise the youth football competitions of TTFA and deal with all matters relating to youth football. 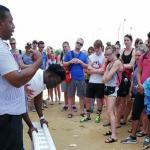 Sports Medicine Committee: The Sports Medicine Committee shall deal with all medical aspects of football. Players’ Status Committee: The Players’ Status Committee shall set up and monitor compliance with transfer regulations in accordance with the applicable FIFA Regulations on the Status and Transfer of Players and determine the status of Players for the various competitions of TTFA. Marketing Committee: The Marketing Committee shall advise the Board of Directors with regard to drafting and implementing contracts between TTFA and its marketing partners and analyse marketing strategies that have been devised. Club Licensing Committee: The Club Licensing Committee is in charge of the club licensing system within the TTFA in accordance with the regulations of TTFA […] in conformity with the FIFA Club Licensing Regulations and the minimum requirements of the club licensing system set up by CONCACAF. Electoral Committee: The Electoral Committee is the body in charge of organising and supervising the election process in accordance with the Electoral Code of TTFA. Disciplinary Committee: The Disciplinary Committee may pronounce the sanctions described in this Constitution and the Disciplinary Code of TTFA on Members, Officials, Players, Clubs and match and players’ agents. 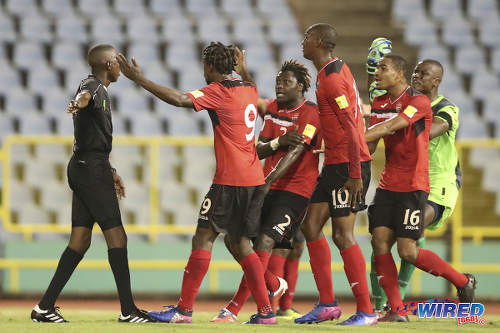 Photo: Trinidad and Tobago defender Aubrey David (centre) leads protests to Guyanese referee Sherwin Johnson (left) about Jamaica’s winning goal during international friendly action at the Hasely Crawford Stadium in Port of Spain on 24 August 2017. T&T coach Dennis Lawrence admitted after that the referee got it right. Ethics Committee: The Ethics Committee may pronounce the sanctions described in this Constitution, the Code of Ethics of TTFA and the Disciplinary Code of TTFA on Officials, Players and match and players’ agents. Appeal Committee: The Appeal Committee is responsible for hearing appeals against decisions from the Disciplinary Committee and the Ethics Committee that are not declared final by the relevant regulations of TTFA. Decisions pronounced by the Appeal Committee may only be appealed to the Court of Arbitration for Sport in Lausanne, Switzerland, or to a national, independent Arbitration Tribunal in accordance with the provisions in this Constitution. John-Williams shared his respect for the TTFA’s standing committees in his election manifesto, ‘Imperatives for change’—when he declared ‘effective and efficient functioning committees’ to be one of the cornerstones of his vision for the local football body. Wired868 asked for an opinion on the potential impact of the TTFA’s 14 non-functional standing committees—excluding the electoral committee—from FIFA IFAB board member and 2006 World Cup goalkeeper Shaka Hislop, TTOC president Brian Lewis, TTFA board member Keith Look Loy, UWI Sports Management lecturer and T&T’s 2003 Indoor Hockey World Cup captain Sherlan Cabralis, management consultant and ex-TIDCO president Brian Harry and management accountant and ex-Trinidad and Tobago Hockey Board (TTHB) official Kendall Tull. Click HERE to view their opinions. ..Contrary to the apparently prevailing view here, I believe ALL of these committees have a vital function to perform. Read their terms of reference. Separation of responsibilities and powers and dedicated focus are key to the democracy, efficiency and effectiveness of any national association. For example, if TTFA had a functional legal committee we probably would have avoided the Big Boss’ outrageous court shenanigans by preventing his unilateral decisions to enter TTFA into hopeless court cases..
Keith they may have roles etc but there is a need for coordination. That coordinated is s Managent responsibility. Coordination doesn’t happen at a board level, if it’s a real board. Real boards set high level direction and govern which is very different from manage. The board should have – legal, financial/accounting and. Internal audit expertise I agree. But of course the bigger issue is that it was drafted as part of the constitution and need to be mandated. Dont get me wrong i clearly see the ethical issues but dont understand why all these sub committees were drafted in the first place. Sounds like Logic. Sounds good on paper and then completely defeats the ability to hold purpose. This is a joke to be honest. While I somewhat understand the need for sub committees, for the most part their functions are useless. It seems to me that these committees were put in place as watch dogs since the TTFA never seem to get the right people on the boards or in the working staff. You have a marketing committee for what? So the TTFA does not have a qualified staff member in charge of marketing? There’s a committee solely for women, what’s that about just to say we care about women so we give them a committee of their own? Nonsense. Its as though the board knows they’re incapable of doing their job before they even start so they need people to help them. I’m not saying sub committees aren’t useful but most on this list ain’t making sense. Disastrous John Williams and board members allowing this abuse of position and power should be named and shamed. 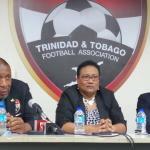 The TTFA is letting down the talented football youths of T&T, boys and girls! 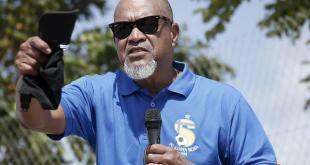 Pro-League, Super League, Zones and all bodies of the TTFA are RESPONSIBLE! Grow some balls and stand up for the youth who love their football and get these incompetent idiots out! If the Government cared at all for transparency, accountability and good governance of institutions in T&T. They would call for some full independent enquiries of sporting bodies and cultural bodies etc. This would at least give the impression that the laws are fair, equally applied and not their just as a stick for the poorest constituents. Chabeth Haynes I agree with you on the overall jurisdiction of TTOC and SPORTT… but when it boils down to brass tacks as they say.. those organizations are all in bed with the NSO’s and would be hard pressed to create discord . I recently heard a senior TTOC administrator say that they won the case against Thema Williams.. and that statement with whatever truth or relevance it may have is how they work.. the TTOC is useless when it comes to resolving issues …. everyone has an agenda…. And little do people seem to understand… if you demand better operations from administrators, you will end up with results from athletes. On another note… there are way too many committees. If these are volunteer positions, that is a lot of people to find. If these are paid positions, that is a lot of money to spend. All those committees read as opportunities to give people position and perks without having to do much work. The duty/role of a board member shouldn’t be to meet once a month or every two months. You should actually have to do some work. Chair one of these subcommittees or something. Imagine the TTFA general secretary is mandated to sit on EVERY committee. That’s impossible. It is an indictment on the country with a ministry of sport, a SPORTT company, and a TTOC – three bodies that have a measure of authority over NSOs – that so many NSOs have the freedom to operate counter to their constitutions. It is absolutely nothing for the government to say that any NSO that is not constitutionally compliant will not be allowed the use of state facilities. People will behave. Instead, in the case of the TTFA, they are given a 60 year lease at $1/year for a controversy-riddled home of football.